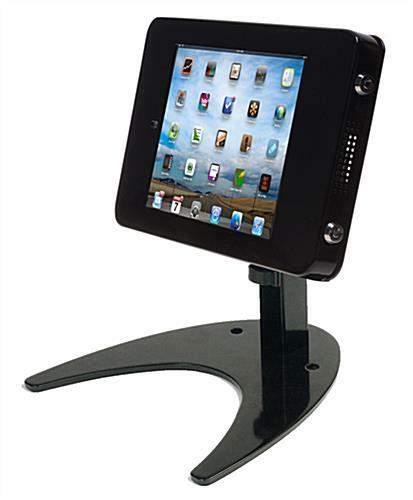 iPad Mini Desktop Stand | For Commercial Locations. (2) Pre-drilled Holes for Securing Unit to any Hard Surface. 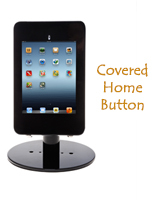 Rubber Padded Base to Prevent Damage to Countertop. Cable Management Clip Keeps Wires Tidy and Out of the Way. 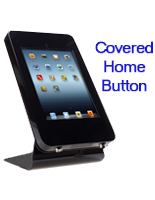 Home Button Covered to Prevent Tampering with Device. 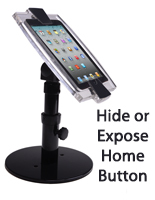 Dual Locking mechanism with (2) Sets of Keys to Deter Theft. Black Powder Coated on Aluminum for Long Term Use. 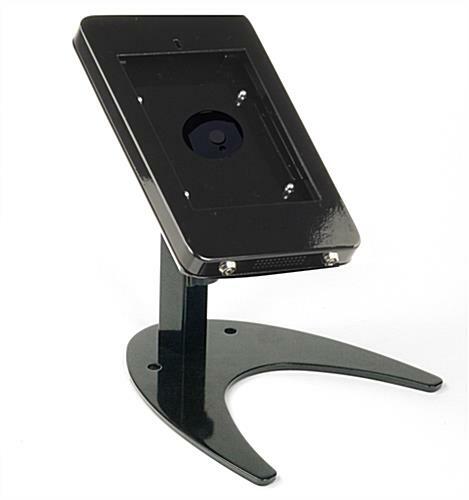 This iPad mini desktop stand can be secured to any hard surface via (2) pre-drilled holes located at the base of the aluminum unit. 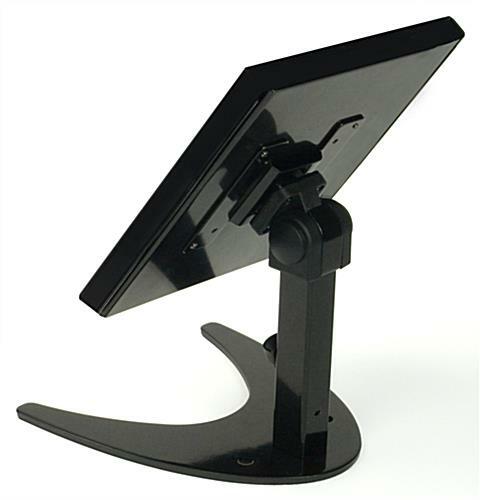 This black powder coated electronic device mount rotates 360°and tilts 180° for the ideal viewing angle. 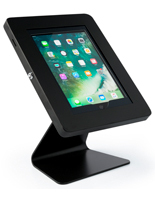 Each tilting iPad mini desktop stand provides merchants with an interactive display that instantly brings attention to the desired media. Business owners can collect important statistical information from customers by utilizing this interactive mobile tool. 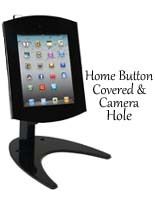 The iPad mini stand is a versatile unit that can help get the word out about upcoming events and promotions. 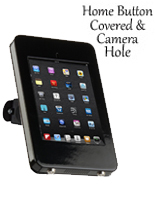 The Apple® tablet kiosk is sold at affordable prices to cater to any budget! 8.6" x 11.5" x 9.3"